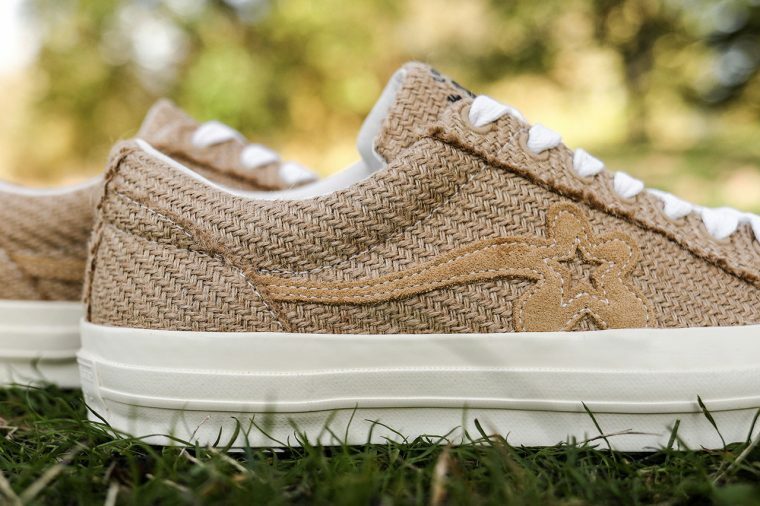 We were first treated to a glimpse of the GOLF le FLEUR* x Converse “Burlap” collection in October, and we can’t get enough of this Autumnal pack. 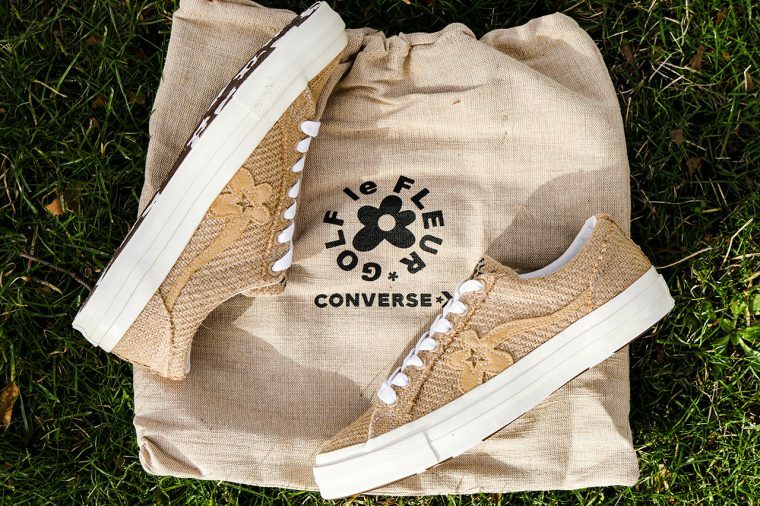 Tyler, the Creator has opted to swap his signature suede for burlap in this release, creating a unique aesthetic. 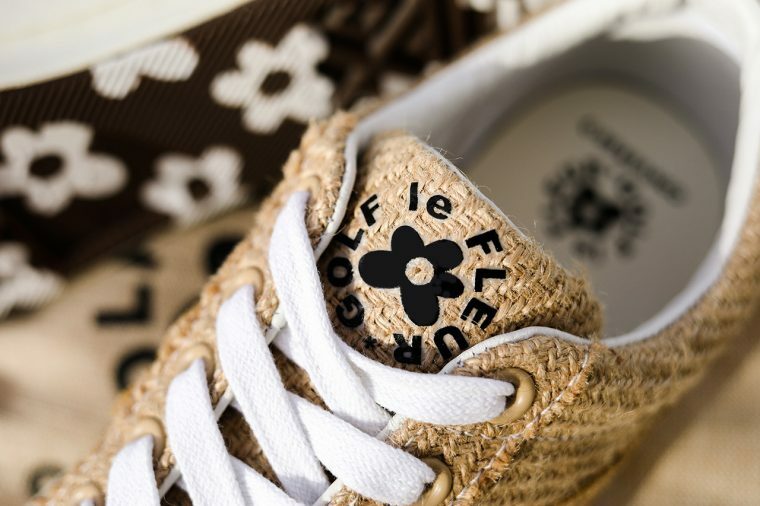 The One Star features the rapper’s iconic floral emblem in a tonal hue, bringing sought after appeal. A vulcanised white midsole completes the look in white, matching the chunky laces and providing a touch of contrast. 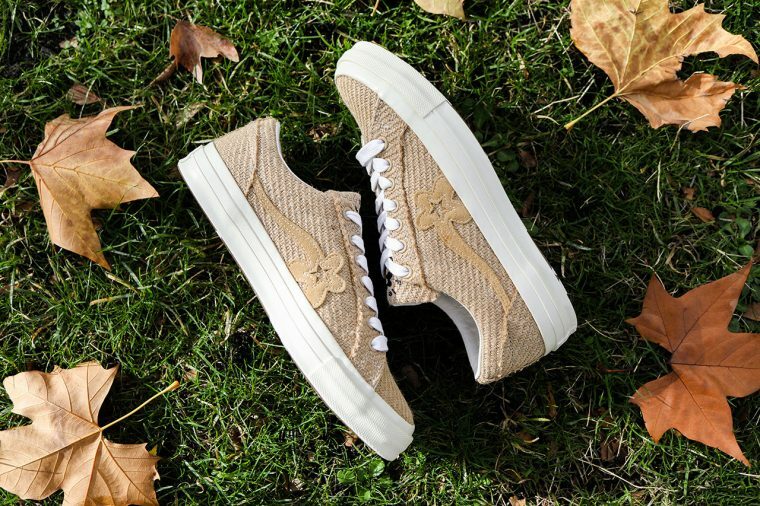 The full collection also features two hi-top designs in both canvas and burlap and is expected to arrive on November 15th.